Roomthree Design is now a part of the Communicraft family. Communicraft and Roomthree Design are delighted to announce that Roomthree have joined the team at Communicraft bringing with them many years of experience in Design excellence. Communicraft will continue to provide the clients of Roomthree with the excellent service they have come to expect from the team, as well as providing them with an enhanced skill set and expertise in areas such as User Experience, advanced web development and increased technical depth. Visit Communicraft.com to learn more, or call us in our office in Dublin city centre on 01 8727574. The new web site for Shannon Heritage features exciting photography of visitors to Bunratty and King John’s Castle which was commissioned and art directed by Roomthree Design for this project. 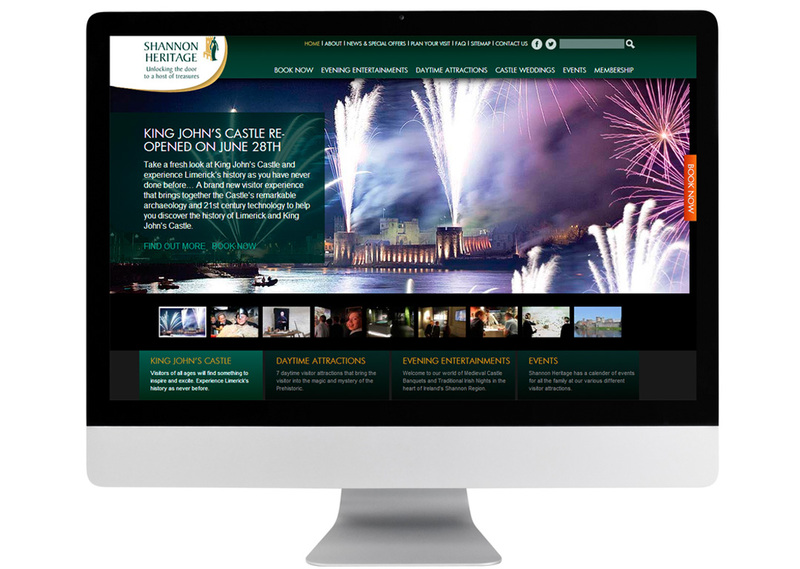 It was important to Shannon Heritage that sub-sections of the site for key attractions such as Bunratty could retain their own identity and present as a web site in their own right. As with the Defence Forces this was achieved by presenting internal landing pages for each attraction that use the conventions of a home page.